In August of 2005 I graduated the Web Developer program at Sir Sandford Fleming College in Peterborough, Ontario. After gaining experience in the community with web design projects as well as teaching at Fleming College I am now offering my skills and expertise in various web site design and development projects, training and consulting for other developers, local businesses and organizations. I am always eager to learn new techniques to enhance my web site and the web sites that I create/re-design for other people and organizations. Being the administrator of my own Linux based routers, web servers, and Network Attached Storage I also stay a step ahead in security, as well as continually enhance and upgrade the networking and server aspects of a web presence. 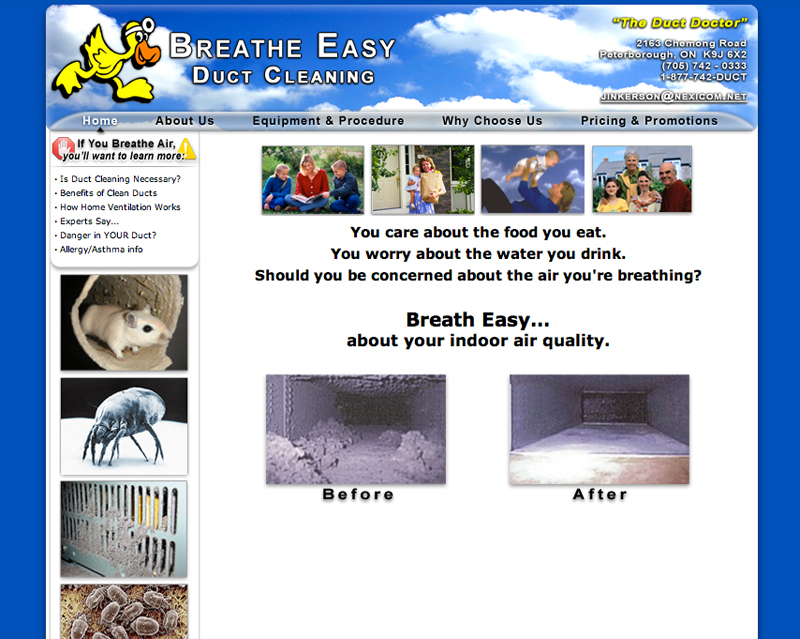 Below are examples of web sites I have developed. Along with a screenshot of each project, I've noted specific points of interest, and where possible I've also kept a cached version of the work to maintain the original design/functionality. While planning the TrentCSA site design my client asked that it not look as business like, and void of colour. The previous design was clean and professional but did not target itself to the end users very well. The new TrentCSA site uses HTML5 standards and is programmed in a clean and modular way that allows additions and edits easily via a custom programmed admin area. This project's main goal was to convey a sense of simplicity while explaining the benefits and details for green/earth friendly power options. With simplicity in mind, the design uses very few graphics and presents the data without any confusion. Adobe Flash was used for the splash and navigation animations but a working alternative was also created for users who may have Flash disabled or unavailable on their device. 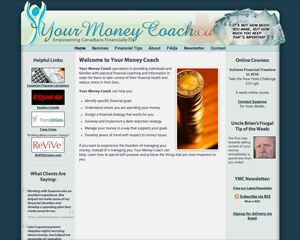 A Web site developed for a local entrepreneur who provides individuals and families with practical financial coaching. 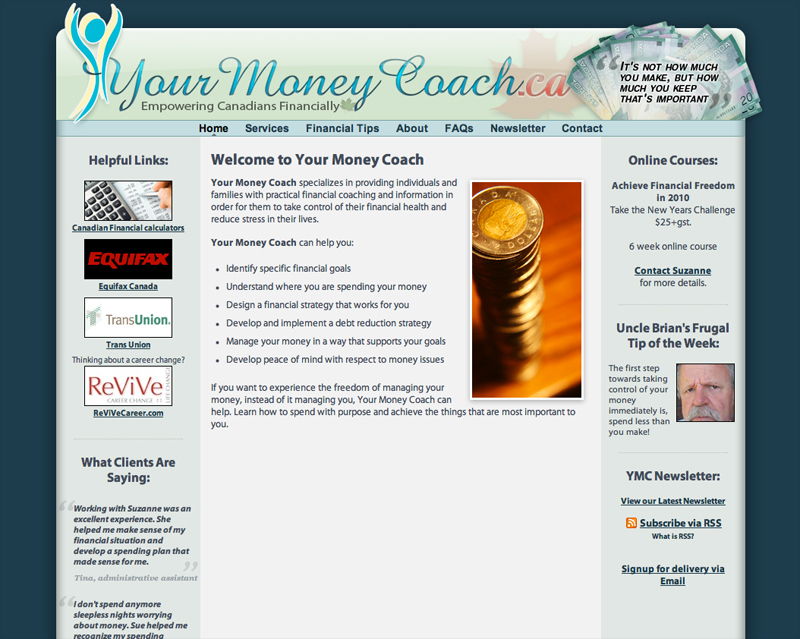 I designed and then coded this site based on the colour pallet and general design structure requested by the client. This site also functions fully and displays properly across IE6, IE7, IE8, Firefox, Safari, Mobile Safari, and Opera and maintains complete W3C standards compliant XHTML code. As a part-time teacher at Fleming College I had a web site I developed and maintained throughout my courses for students to reference regarding schedules, project files, audio/video recordings of classes, a drop box for assignment hand-in, and resources for further investigating and inspiration. I made sure to keep the design as basic as possible since we access this site multiple times a day and from different devices, platforms, and resolutions. As an added challenge, the staff server at the college only supports basic HTML so I had to develop without the use of PHP, MySQL, or any server side scripting/applications. After developing an original site design suggested by the owner a few years ago; I was given the task of re-designing and developing new features. One such feature includes Google Maps integration; locations are stored in a database and updated by the owner with a "drag and drop" map in the admin area. This web site was created to gracefully down-grade, properly functioning on all potential target audience displays. With standards compliant HTML and CSS this site will certainly be usable and easily updated for many years to come. 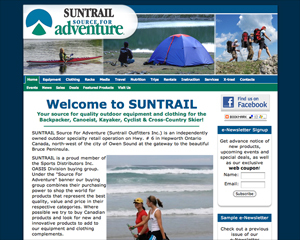 I re-designed the Suntrail.net web site a few years after the original re-design I did in 2003. 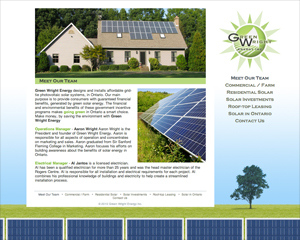 The project included taking an older site and updating the code to today's web standards. I developed a clean and attractive interface with expandable sub menus while maintaining a relatively simple design which can be utilized by all connection types and browsers. The new design adheres to today's W3C XHTML 1.0 Strict standards and successfully passes the W3C CSS validation. 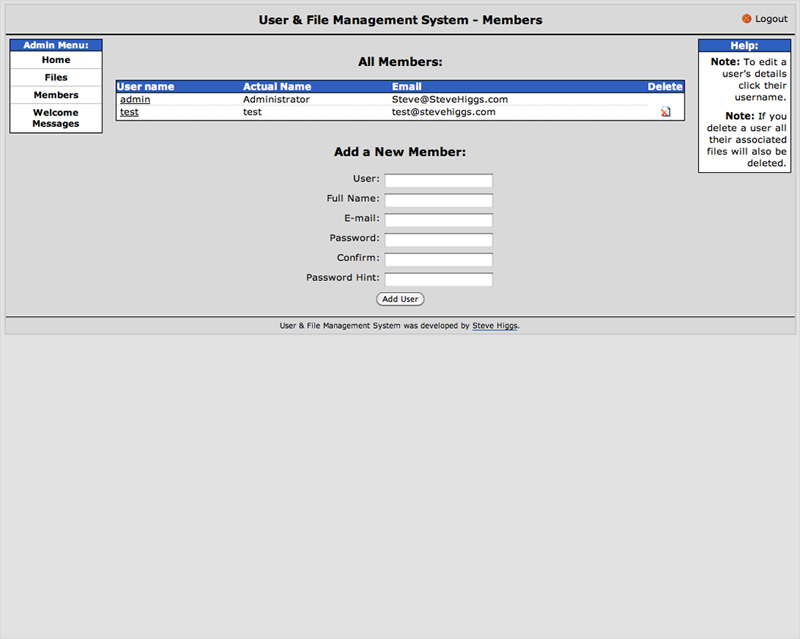 This is a cached version of a User & File Management system created for a client who wanted to allow individual and group access to files and documents. The system was built to be very secure, easy to use, and simple in design. 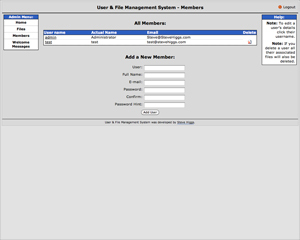 Some features include password handling; passwords are encrypted and cannot be retrieved. In the event of a lost password there is a reset tool which will generate a new password and email it to the user's stored email address. 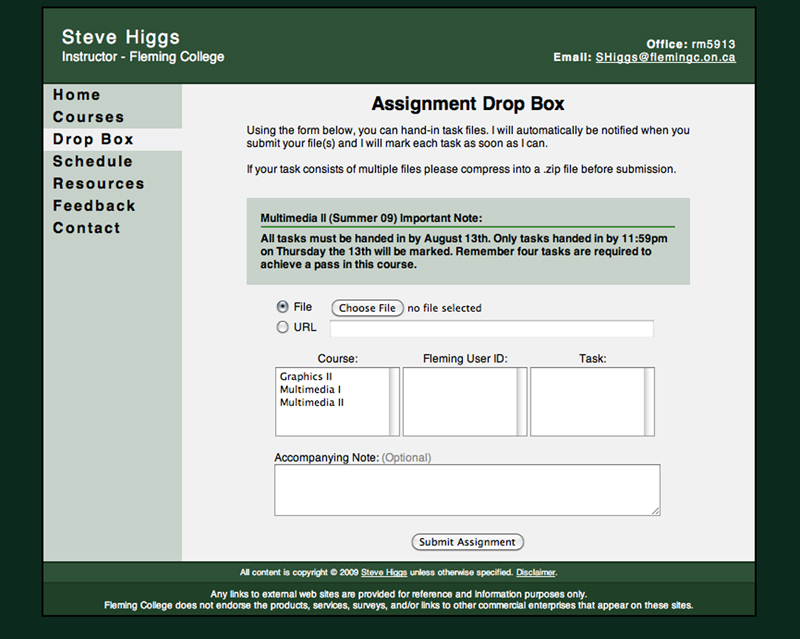 Files can also be uploaded to a specific user's folder or to the globally accessible folder. Messages also work this way. Made with PHP using a MySQL database. The client wanted a design that gave a clean, fresh-air feeling. 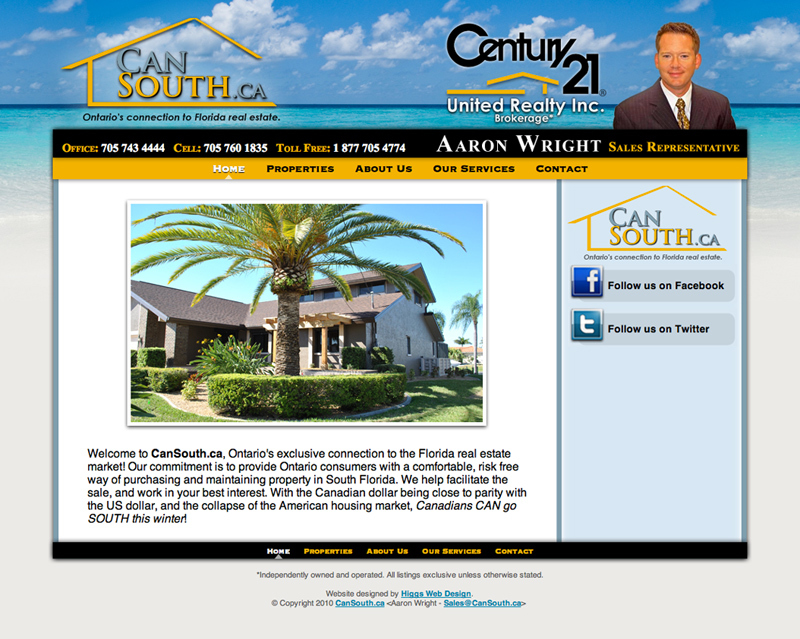 The end result is a bright and simple layout with many usability features. It is written in fully compliant XHTML and CSS and contains a printer friendly CSS version for easy printing. All of this ensures every potential viewer has a good experience viewing the site. 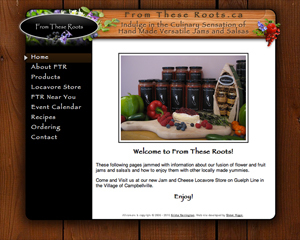 As a third semester project in the Web Developer program at Fleming College, I and a partner re-designed the Peterborough LETS Web site. This project was highly geared towards a simplistic and light weight design, developed for low bandwidth, low screen resolutions, and older browsers. This design is highly based on CSS and is written to XHTML 1.0 strict standards. We also wrote this site to validate through the WAI, and "Section 508" validators ensuring user accessibility. 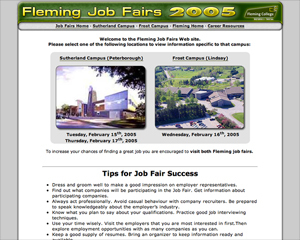 Design and development of a mini site for the Fleming Job Fairs at the Peterborough and Lindsay campuses. I designed and developed a new web site for Chesley District High School during a co-op position in my 2003/2004 school year. The process involved drawing several design concepts, presenting to staff and students, gathering feedback and developing the new web site. I also proposed the idea of a continuing co-op position for students to continue this project after I had graduated. Documentation was produced for the next developer(s).